I love mushrooms, and shiitake happen to be my very favorite! 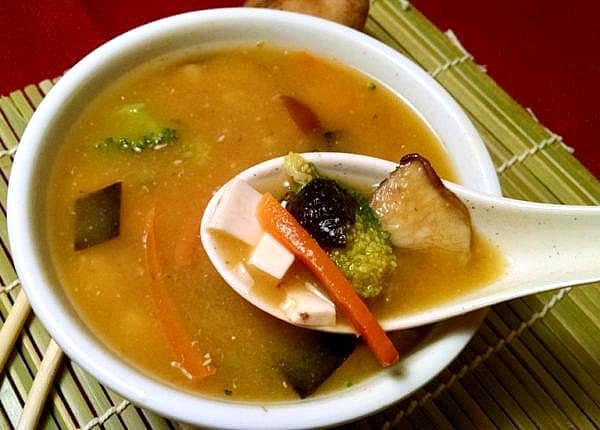 This vegan miso soup with mushrooms offers a delicious and amazingly healthy combination of mushrooms, tofu, miso, seaweed, and vegetables. Miso, also known as soybean paste, is a traditional Japanese food. It is most commonly used for making miso soup. This recipe uses white miso which has a mellow, slightly sweet flavor. For those concerned about the salt in miso, this short 3-minute video Is Miso Healthy from Dr. Michael Greger with Nutritionfacts.org should help relieve concerns. The Chinese have used the shiitake mushroom for medicinal purposes for over 6,000 years. It is the second most commonly cultivated mushroom in the world and is a symbol of longevity in Asia. The American Cancer Society notes that shitake mushrooms seem to have some anti-tumor effect on lab animals but adds that further studies are needed to determine their use in humans. The organization notes that these effects may come from the mushroom’s ability to boost the immune system. They contain a compound called lentinan, which has been shown to strengthen the immune system’s ability to fight infection and disease. 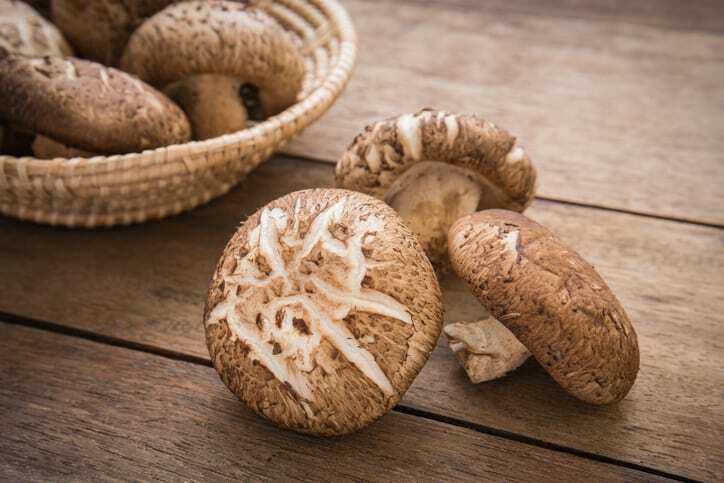 Shiitake Mushrooms have a long history for being used medicinally. 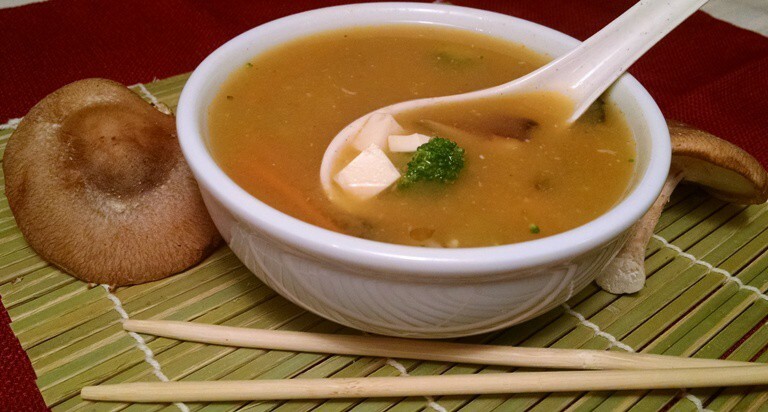 The shiitake mushrooms in this soup add vitamin D, an important nutrient for cancer prevention. A great place to purchase mushrooms is at your local Asian grocery store. I will admit, it can be a little overwhelming to step into a place that is full of unfamiliar sights, smells, and sounds, but that is part of the fun of shopping at Asian grocery markets for plant-based friendly foods. By shopping smart, you can save a lot of money on spices, mushrooms, and other items. I find great deals on rice noodles, rice wraps, sauces, rice vinegar, dried mushrooms, spices, and even produce. This is a 4-minute tour of an Indian market that I shop at often in South Carolina. As you will see, the owner even showed us how they make sugar cane juice with lime and ginger in India. 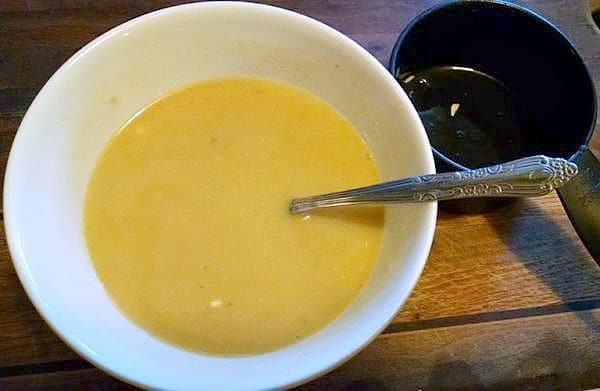 Nearly all of the ingredients needed for this Japanese Miso Soup Recipe can be found at your local Asian market, and for a much cheaper price than shopping at specialty stores. Recipe from The Cancer Survivors Guide by Dr. Neal Barnard. Pour veggie broth into a large soup pot and bring to a boil. Remove from heat, add the dried mushrooms, cover, and let stand 20 minutes, or until mushrooms have softened. If using fresh mushrooms, you can skip this soaking part. 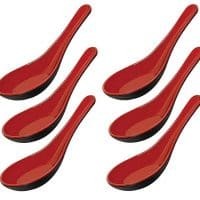 Remove the re-hydrated mushrooms from broth with slotted spoon. 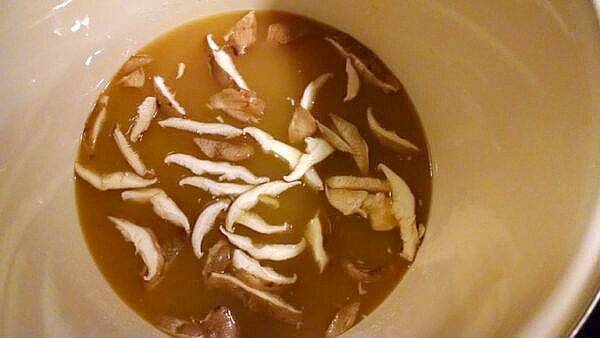 Cut off and discard the mushroom stems. Thinly slice the caps and set aside. 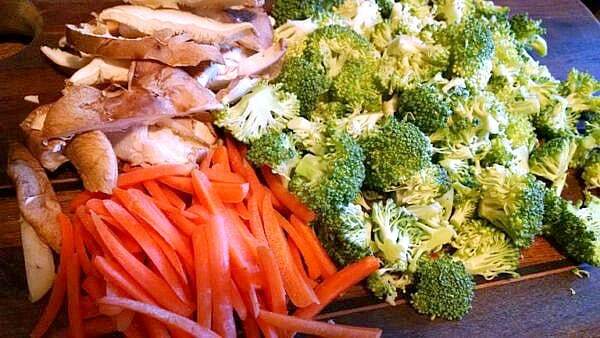 Slice broccoli into small florets and grate carrots. Slice tofu into 1/4" cubes. 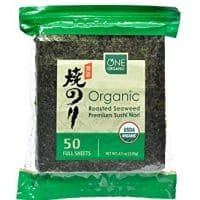 Cut nori sheet into 1" squares using scissors. Helpful hint: if your nori has become softened over time and needs to be crisped back up, simply hold sheet over the heat of a stove eye or a toaster for about 30 seconds. It will become crunch and crisp again! Add tofu, nori, and ginger to the broth. Bring to a simmer and cook for 3 minutes. Add the mushrooms, broccoli, and carrots. Cover and simmer for 1 minute, just until the broccoli turns bright green. Miso is a traditional Japanese food and can be found in natural food stores and Asian markets. 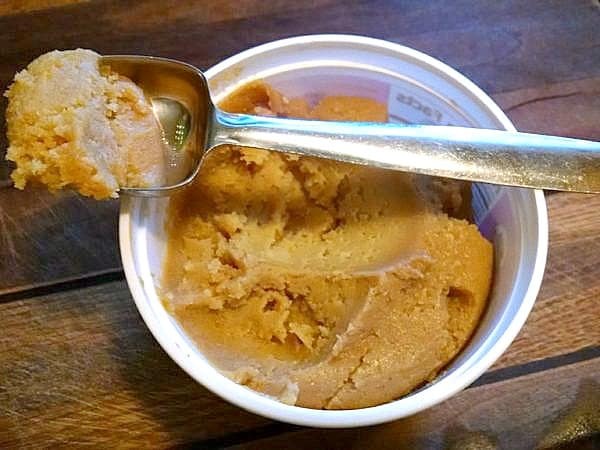 It is commonly called soybean paste and has a mellow, slightly sweet flavor. 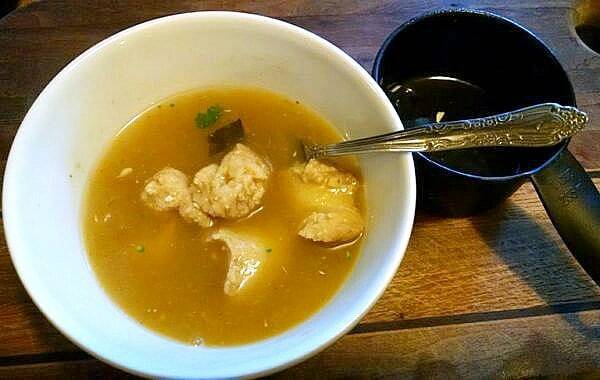 Transfer 1 cup of the broth to a bowl. Stir in the miso with a fork until it is completely dissolved. Pour the dissolved miso into the soup and stir until it is well incorporated. Stored in a covered container in the refrigerator, it will keep up to 1 week. This is why Asian countries eat soup for breakfast. Why throw away the stems? Could I use frozen shiitake mushrooms in this recipe Terri? Thank you! Yes, frozen should work just fine too. Made this today, no ginger or tofu and too lazy to go to the store, so made it without. It was delicious, added some green onion as garnish. This will definitely be on my go to list. Oh my gosh, this was so good! Ate it with a side of oil-free hummus and pita. A great meal! Awesome! I am so glad you liked it. Between the miso and nori, the amount of sodium in this soup must be sky high. Yes, I’m concerned about that too. Easy comforting soup and yummy. I haven’t tried freezing it. To be honest, I just had to look it up. It appears miso soup can be frozen in airtight containers for up to 6 months. Interesting! Hi. I’ve never made miso but I have all the ingredients except the mushrooms. I’m confused about what to buy. You seem to equate the amount of fresh vs dried, calling for a cup of either. But isn’t a cup of dried, when rehydrated, a lot more in volume than a cup of fresh? At such a high price compared to button mushrooms or baby bellas, I’m not sure that I can afford of cup of dried shitake. Please clarify. Thank you! Janet, yes, the one cup of mushrooms does mean fresh or rehydrated from dry. So, you’ll want 1-cup of rehydrated mushrooms if you’re using dry. It’s also really just a preference, as the amount can be changed to suit personal tastes. Major mushroom-lovers might add more, and others might add less. Hope you enjoy the soup! 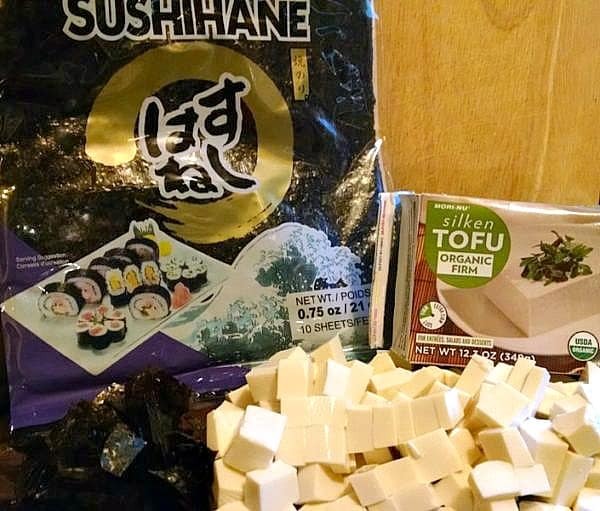 It says use silken tofu in the ingredient list and then in the instructions it says to cut tofu into cubes. May want to change ingredient list to firm tofu.